An outdoor screening and sing-along of Selena, a 1997 film about the life and career of Tejano music will be shown at Tucson Meet Yourself on Friday, Oct. 12. at 7 p.m.
One of many highlights of the upcoming 2018 Tucson Meet Yourself festival includes free showings from The Loft Cinema. The films will be shown Friday, Oct. 12 and Saturday, Oct. 13 at 7 p.m. at the Pima County Pavillion on Jácome Plaza. 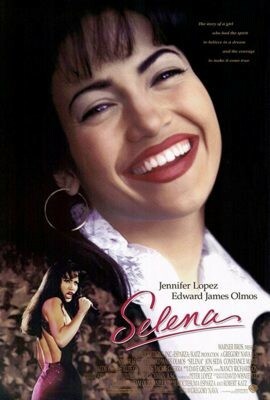 Films include Selena, a sing-along to the 1997 musical drama written and directed by Gregory Nava about the life and career of Tejano (folk and pop music primarily of Mexican and Mexican American artists in Texas) music starring Jennifer Lopez as the late Tejano star Selena Quintanilla-Perez (127 min.) 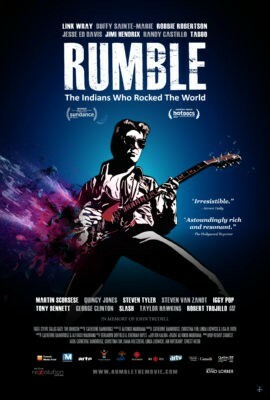 and RUMBLE: The Indians who Rocked the World, a 2017 feature documentary about the role of Native Americans in popular music history featuring music icons Charley Patton, Mildred Bailey, Link Wray, Buffy Sainte-Marie, Jimi Hendrix, Jesse Ed Davis, Robbie Robertson, Redbone, Randy Castillo, & Taboo (103 min). This is the second year Tucson Meet yourself is in partnership with the Loft working with Loft directors Jeff Yanc and Zachary Breneman to choose films that have meaning and significance at a folklife festival. An outdoor screening of RUMBLE, a 2017 feature documentary about the role of Native Americans in popular music history will be shown at Tucson Meet Yourself on Saturday, Oct. 13 at 7 p.m.
RUMBLE focuses on the influence of native musicians on rock and roll. This is an important story to tell at a folklife festival because “so often people think of "folklife" only as something that celebrate static traditions. That's not true,” said Kimi Eisele, Communications Director for Tucson Meet Yourself. “Folklorists are interested how traditions are expressed and shared and passed on, and especially in how they change and evolve and make their way into contemporary expressions,” said Eisele. She believes this film will open a lot of people’s eyes and ears to the influence of indigenous musicians on popular music and be a fun way to bring people together at the festival.